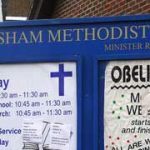 We are a small but thriving church in Anerley/Penge, South London, to the North of the London Borough of Bromley and close to the Borough boundary with Croydon. Anerley has a membership of approximately fifty people of all ages from diverse ethnic backgrounds. Anyone of whatever denomination, faith, or not faith, is very welcome at any of our services or events. 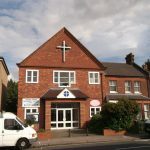 The spiritual life of the Church is focused on Sunday morning worship and a Junior Church that are well attended by both members and adherents. 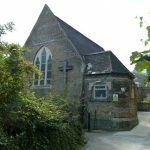 The Church at Anerley dates back to 1865, when the church/schoolroom was built, under the auspices of the Wesleyan Methodist Church (Brixton Hill Circuit), although there are records of house meetings taking place in the locality from 1862. A large church seating 1,000 people was completed in1879 on land in front of the school-room facing Jasmine Grove. This building was destroyed in an air-raid during 1940. The schoolroom was also severely damaged by incendiaries, and the congregation then worshipped in ‘The Hut’, a corrugated iron structure at the rear of the premises. After the war the schoolroom was remodelled and has served as our church ever since; so in a sense we are back where we started! 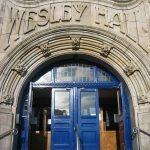 In 1965 the premises were again remodelled and a large hall was added specifically to serve the needs of the local community. In 1979 a severe arson attack removed the roof of the church, and a year later a further attack caused smoke damage to the large hall. 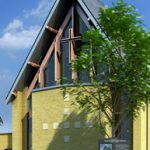 These events caused us to question whether we should continue, but in faith we rebuilt and made changes, and, although minor alterations have been made since, this is basically the church premises we have today. 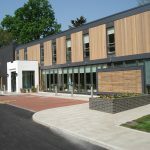 Our premises are well-used by the local community and we provide facilities for a wide range of different activities. 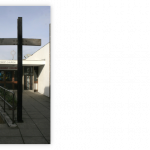 Regular uses include four other Faith groups, a flourishing pre-school, self-defence & keep fit group, dance and drama groups for young people and a dog training school.